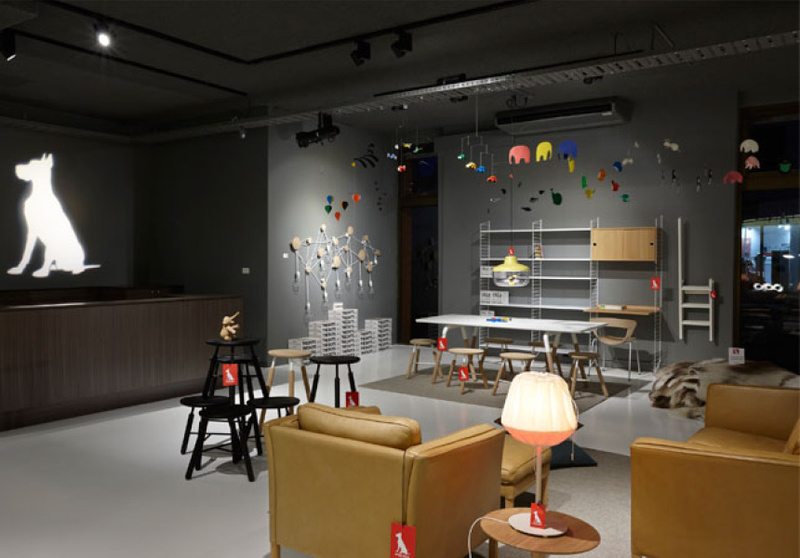 Great Dane furniture opens a northside showroom on Johnston Street, inspired by the Scandinavian phenomenon in which when the sun rises in the middle of the night. It’s been ten years since Great Dane was established in Melbourne, offering authentic mid-century Scandinavian furniture to the design savvy. 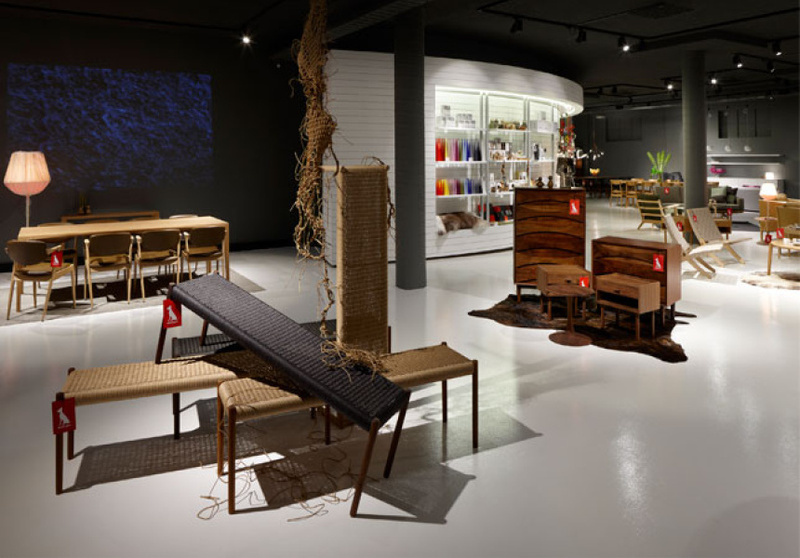 Since then, the explosion in popularity of Danish and Scandinavian design has driven their expansion into Sydney and now, Melbourne’s north. Founder and director Anton Assaad had envisaged great things for the opening of the new, huge, space on Johnston Street, Fitzroy. Teaming up with retail designer Gary McCartney and lighting designers at E-Lux from Sydney, Assaad aimed to create “a dynamic retail experience that reflects what Great Dane is about today”. 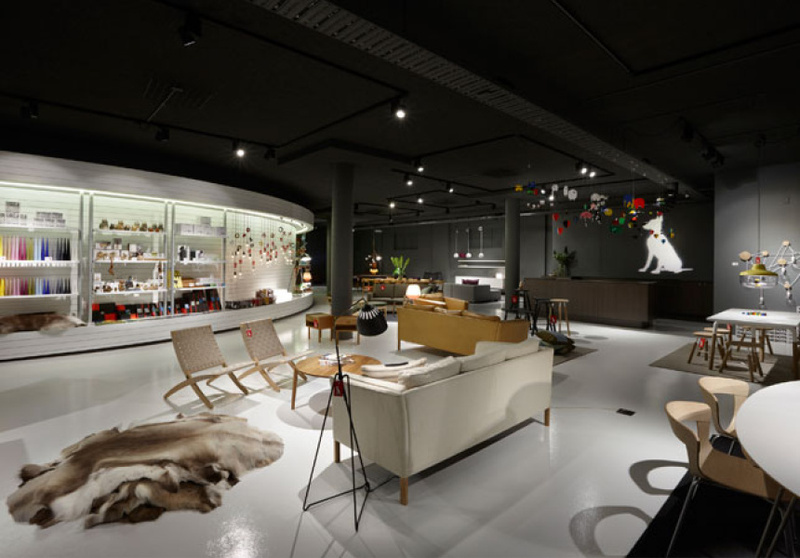 Inspired equally by modern Scandinavian department stores and the northern phenomenon of the midnight sun, the space showcases both iconic designer pieces destined to become heirlooms as well as everyday items like candles and kids toys. The showroom is dominated by a curved white feature wall already dubbed “the floating cloud” by the Great Dane team. Assaad explains the wall aims to “draw the visitor through the space, whilst allowing an interactive opportunity to view products along the way.” Projections on the dark grey walls help to lighten up the space, another link to the midnight sun. Assaad also has grand visions for the future of the Great Dane presence in Fitzroy. A function room, cafe and garden are planned for the near future, but first, TheSuperCool will be setting up shop with their eclectic mix of vintage collectibles, design magazines and so much more.